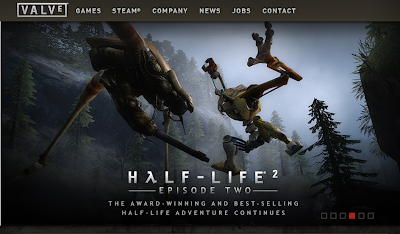 Valve is all too familiar with gaming folks out there. They are the guys behind the awesome STEAM online gaming platform. They were in a bit of controversy recently when they denied all reports of a Linux version of their famous online gaming platform. But once again, Valve is in the news. The "employment opportunities" section in their website is the new source of all the hype. The responsibilities of the desired candidate for the post of Senior Software Engineer include "Port Windows-based games to the Linux platform". What else do you need for another round of controversy. It seems that, the notice have been there for sometime which clearly shows Valve is indeed interested in bringing their products to Linux. As somebody have commented in the reddit thread, I can sum up the whole thing in one sentence, "I WANT TO BELIEVE!!" Let's hope, our cries are heard this time at least.